SACRAMENTO – Yesterday, Assemblymember Devon Mathis (R-Visalia) reintroduced a bill to address the severe shortage of emergency shelters and feeding programs for homeless Californians in disadvantaged communities. The bill (AB 246) would authorize the Department of Transportation (Caltrans) to lease certain properties to cities and counties at a cost of $1 per month to build emergency shelters, food pantries and recreational parks. This bill is a bipartisan measure authored by ASM Mathis (R-Visalia), ASM Bonta (D-Oakland), and ASM Gipson (D-Carson). Caltrans owns numerous unused parcels of land, many of which are located in disadvantaged communities. These communities often lack the financial resources to provide homeless services, food assistance, and parks for their residents. This bill would ease the financial burden by allowing local governments to put vacant land to good use at a nominal cost. “I am excited to announce my co-authorship of Assembly Bill 246 with my colleague Assemblymember Devon Mathis. Last year I advanced a proposal with Senator Beall to help expand access to emergency homeless shelters and feeding programs by authorizing Caltrans to enter into leases with the cities of Los Angeles and San Jose for such programs. 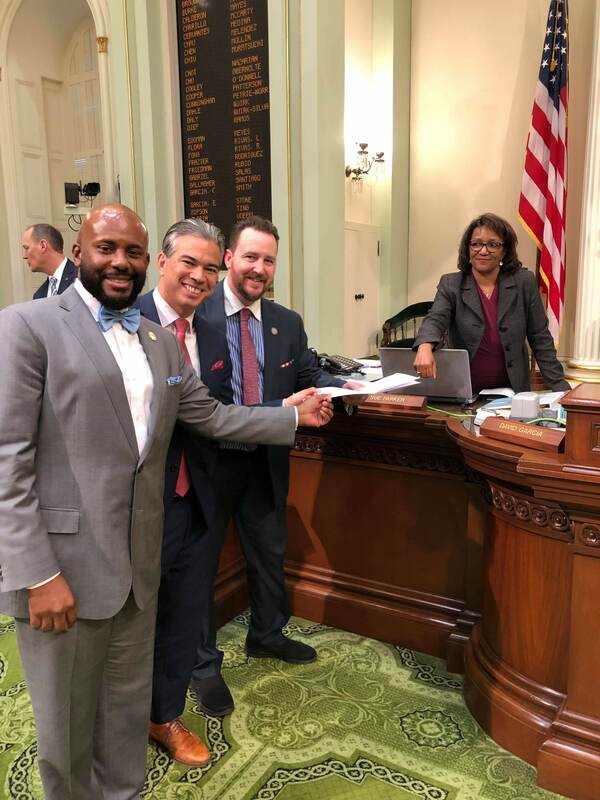 I am confident that this effort has helped ease the homelessness crisis in my community and now I look forward to collaborating on this measure to help bring these benefits statewide,” said ASM Gipson.